The 3 easiest ways to make more money. The Ultimate Guide to Making Money. How to stuff a pillow with money and still sleep well (just kidding). On the surface it seems like Sethi’s first skill was maximizing his application skills, but when James presses him, he admits that it’s experimenting. Rather than authentically experiment, James says we all might be insane, “the definition of insanity is doing the same thing over and over again but expecting different results” For Sethi, those experiments focus on psychology in the lab of life. Tony Robbins (episode #62)writes about a similar attitude in his book, outlining that you need to keep remembering what you want the money for and that there are levels to your desires. Sethi mentions, buying drinks and vacations in the same breath but they are different lives in reality. Robbins terms these two actions financial security and financial independence. The former is being secure in your basic needs, the latter is to have your needs and desires met. Robbins suggests that you may never be a millionaire, but if your housing, utilities, food, and transportation were paid for, you can be quite happy. Sethi takes a different angle on the same situation, encouraging people to look at the ends you want and work toward them. Another bias James and Ramit talk about is how we tend to overvalue something we own. Dan Ariely, a past guest, wrote about this in his book Predictably Irrational. His study focused on Duke basketball, and was a wonderfully real-world experiment. 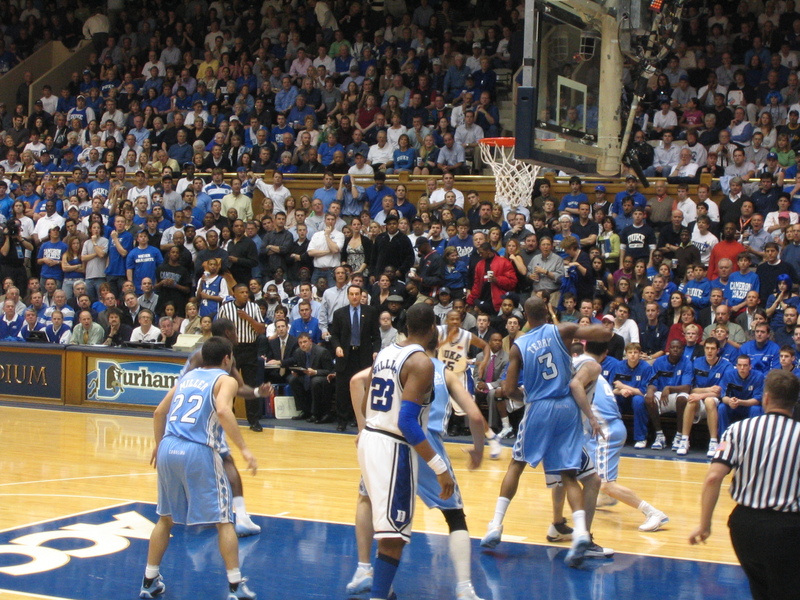 At Duke, students entered a lottery for basketball tickets. If you entered the lottery, you wanted to go to the game. Everyone who entered was a Duke student, so the study group was relatively homogeneous, meaning, there weren’t going to be rabid basketball fans getting tickets and non-fans not getting them. The only logical difference after the ticket lottery would be that some Duke students who wanted tickets got them and some Duke students who wanted tickets did not. Ariely wanted to know if there was a difference in value for the tickets of each group. He recruited some undergraduates students to walk along the dorms and survey people about whether or not they got a ticket and what they might sell or buy the ticket for. On average, those with tickets would sell them for $2,400 and not a dollar less. On average, those without tickets might pay $175 for a ticket. That’s a 14X multiplier between buying and seller. WTF is happening here? How do people that are almost the same except for ticket/no ticket become so far apart on price? Once we own something, Ariely writes, things get peculiar. “Our propensity to overvalue what we own is a basic human bias, and it reflects a more general tendency to fall in love with, and be overly optimistic about, anything that has to do with ourselves.” You don’t need to read academic articles to see this, visit any garage sale or flea market to see it in action. Another of the great lies James and Ramit talk about is how the job market stinks, and you should take what you get. In his spirit of experimentation, Ramit told James that he thought he could help his friends get better jobs if he could study what they did. So he began coaching a friend in exchange for her letting him document the process. Gary Vaynerchuk (guest #2) used this same form of bartering to get discounted billboards and cab advertisements. Sethi found that “the best jobs happen through personal networks.” Great, you’re thinking, but how do I do that? Adam Grant (guest #73) suggests two specific ways. First, “ask thoughtful questions and listen with patience.” Givers, Grant writes, give best when they give something they know well. Find something that you know and begin to help people in that domain. James does a Twitter QA each Thursday, that’s giving in a way he enjoys. Second, Grant suggests five minute favors for anyone that asks. These micro-favors should be anything that helps another person and only costs you about five minutes. Grant found out that people who give in the right way were more successful than people who were takers, matchers, or givers who gave too much and in areas outside of their expertise. Be good giver and you’ll build a good network. But I’m (not connected, in the wrong industry, not skilled, <your own excuse>). Take the no complaints diet challenge and forget about the things you can’t do and focus on the ones you can. Email a person – but bring value. Write them to say that you’ve read/watched what they’ve written/done. That XYZ advice had a big effect on you and you tried doing it, but you are stuck with MNO. Can you give me advice? “When you get good at something, you get passionate.” Sethi tells James. This is the rallying cry, trumpet announcement, and bullhorn bulletin from Cal Newport and his book, So Good They Can’t Ignore You takes it’s title from a Steve Martin comment. Sethi applies this deliberate practice angle to things like creating side income and successful job interviews. He tells James that there is a very specific response – one you would know if you practiced this enough – to use when you go to a job interview and the employer asks about salary. James warns Sethi about anchoring yourself to too low a number. Anchoring is a tricky mental bias because we sometimes don’t even know it’s there. Let’s try, take this quick 2 question survey about how many years separated the birth of George Washington and Napoleon Bonaparte. I’ll share these results in another post, but that’s not what Sethi is getting at. In his research, talking about salary in an interview fails to show the right competence trigger. Walk in the right way, say the right things, look the right way and you’ll show some something you can never hope to say. Sethi explained one of the ways he uses competence triggers in hiring. In this video at 99U he explains that he was looking for someone to help run his customer service. He knew he would be getting a lot of applicants and needed a way to filter them out. So he inserted a specific question that he wanted a specific type of answer for. Sethi was looking for certain words that he knew the right applicant would use as a signal of competence. Van Halen used a similar technique, only with brown M&M’s. 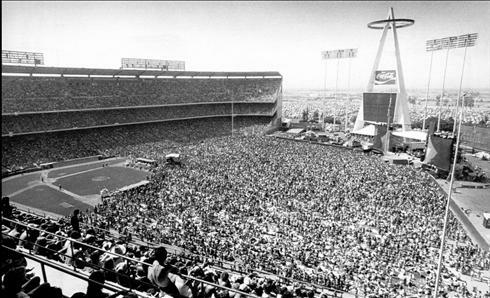 When they were touring in the 1980’s Van Halen had some of the biggest stage shows around. It would take hours to set up custom light and sound riggings, some of which a venue may have had no experience with before. Rather than “Jump” around looking for loose connections or “Dance The Night Away” making sure the rigging was right, they didn’t something more ingenious. They asked for a bowl of M&M’s to be in the dressing room, but all the brown ones removed. Rather than primadonna antics, this was a signal for them about how closely their directions were followed. They assumed, if someone took the time to pick out brown M&M’s, then they also took time to set up everything correctly. You can hear David Lee Roth tell the whole story to NPR. James asks why Sethi does courses rather than ebooks to which he replies, “I don’t want to play in the $4.95 sandbox.” It’s not condescending, it’s wanting to create something better than that. Sethi explains, “when you get serious you don’t want to sift through things” in a course he can “make sure everything works for you.” Sethi says that he does a lot of experimentation and testing so that when you do begin his course, the kinks are worked out, the hurdles lined up the right away, and if there’s a mountain to scale you’ve at least got climbing gear. His business is based on The Strategy of Preeminence (TSOP) by Jay Abraham. (I had to dig for this nugget because it only came up implicitly in my research). TSOP is a business strategy equivalent to being a tour guide in an unknown land that someone wants to explore. It’s giving the customer control to make their own decisions, being authentic in your communication, and providing focus for them. Sethi does this through his courses, which begin around a thousand dollars and go up from there. These classes require work and Sethi’s upfront about this saying passive income, “is mostly B.S.” Dreaming of a job where Google Adsense money trickles in while you sit on a sandy beach is a mirage. Stop right now. Ramit tells James that people who want to save money, don’t want to buy something that tells them how and this halt is the first bit of research that you need to do. Don’t create anything until you know which direction to create in. Rather than something that teaches people how to save money on home repairs, create something that teaches people how to have IKEA looks without composite wood. Alex Blumberg (episode #70) had a recent experiment with this on his Start Up show. Blumberg was kicking around the idea of creating a technology in addition to content. A player for the podcasts. Rather than build an app, they built the skeleton of one. He compares it to a model home where the refrigerator is just a prop and the faucets shine but there’s no water. This early orientation on what you’re going to create is a crucial step in the research Sethi says. You have to find an idea and identify who is the buyer, what are their hopes and dreams, what is their pain? Before you start to solve a problem, you have to find out what their problem is. Once you know the exact question and find out a detailed, obstacle clearing answer. You can start to promote it. In Jab Jab Jab Right Hook, Gary Vaynerchuk breaks down the different ways you can connect to people and what they expect on each medium: Facebook is for stories, Twitter is for listening, Pinterest should be pretty. Each connection with people should also reflect what your image is. My guess is that Ramit won’t ever be seen in sweatpants. Altucher’s picture of sitting crosslegged seems right. It shows that his show is informal, he looks inquisitive. Swap these pictures and think about James selling products and Ramit hosting the show and things are quite a bit different. Earn 10K happens but people might not believe it, 1K is reachable. But what if I don’t have an idea? The course helps you identify it. As you write your stories, begin to collect email addresses but walk a clear line. Sethi is all over Tim Ferriss for his weak email newsletter. Sethi tells James that you want to give stuff that’s so good you are fulfilling their demand. Two of my favorite email lists are Farnam Street and Becoming Minimalist. Each time they arrive in my inbox I look forward to what they link to. Gary Vaynerchuk would call these good jabs. The interview wraps up with a handful of tips and suggestions from James and Ramit. About credibility: Ramit says to judge people’s credibility by what they get out of it. The mortgage industry will tell you good news about housing that’s good for them. When you look at Ramit or the mortgage industry (or anyone) ask how credible they are. Nassim Taleb too uses this heuristic and his solution is to look at time. The longer something has been around, the more credible it will be. About lifehacks: Getting to the gym, eating right, managing your time. Ramit has a pdf of little lifehacks. About challenges: Periodic challenges seem to move us to take positive actions. James and Ramit suggest you email someone and thank them for some work they’ve done. Do it. Really, go do it. Yikes! 3,500+ words. I always love feedback about these posts so please reach out on Twitter @MikeDariano, text (559) 464-5393, or in the comments. Finally, I have one big request. Could you please, please, please let me know what’s stopped you from doing a daily idea list? Do you see value in it? Is it a habit thing? Do you need more structure? Advice? Is it lack of knowledge, understanding? Use whatever words best explain why you don’t do a daily idea list. If you do, let me know what works. If you are interested in specific tips for writing, check out Writing Tools by Roy Peter Clark has a slew of exercises. If you want to guest post, I run 27GoodThings.com and people there share good things to read, watch, and use. If you head over and it looks like fun, get in touch. I couldn’t find the Taleb quote about time and people who only say good things. Antifragile is a big book and I wanted to publish this post without it. If you find it in there, please let me know.